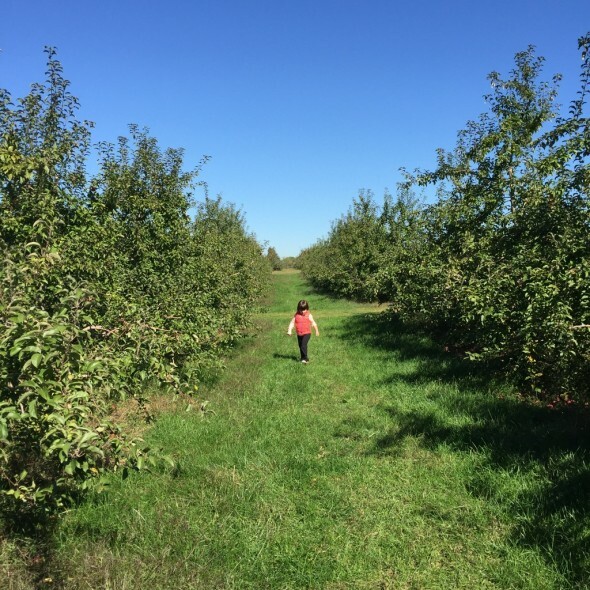 Last Friday we headed to Battleview Orchards after school to get our apples. We’re late this year, we’re usually out in September. 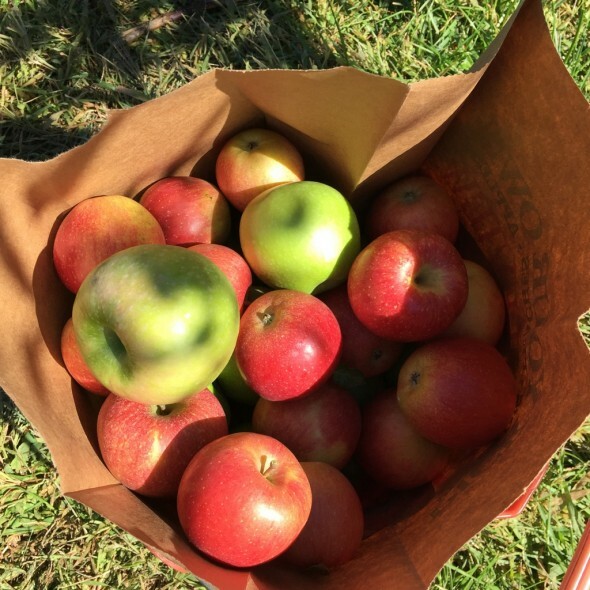 But late meant that the late varieties of apples, like Granny Smiths, were finally available. We never get Granny Smiths! 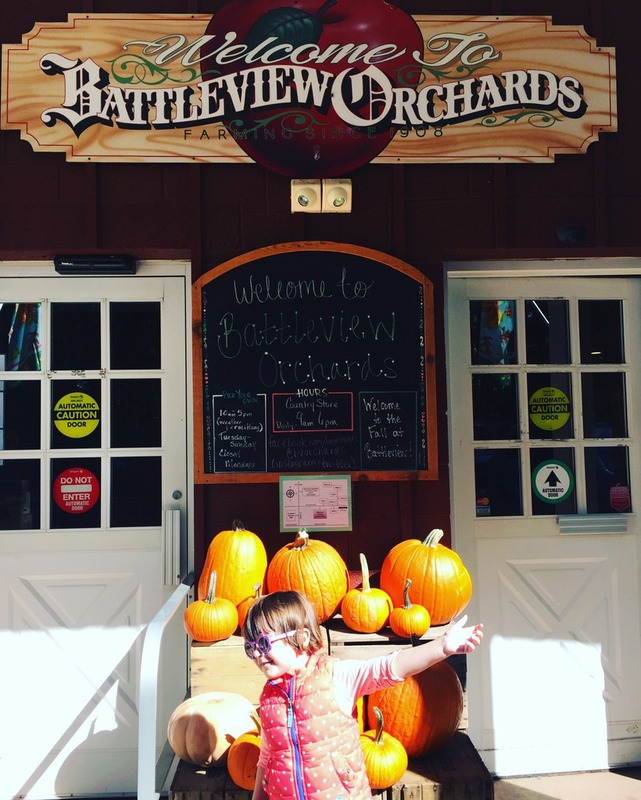 We stopped at the Battleview store first to get cider donuts. Which were devoured by the small human on the short drive from the store to the field. Not all of them, but she got 1 whole donut down her gullet in about a minute. Sometimes she’s like this perfect little alien. 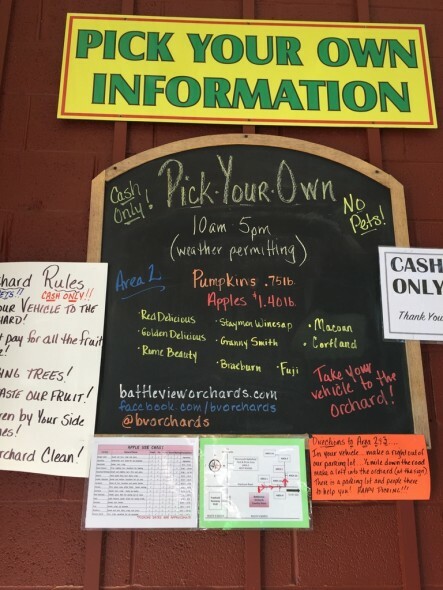 It was busy at the orchard that day, but you wouldn’t know it from my photos. As my friend Walter pointed out, I crop things so that it looks like H’s in her own world, with no other people anywhere. I really just do that to avoid posting pics of other people’s kids whenever possible, but the effect is the same. 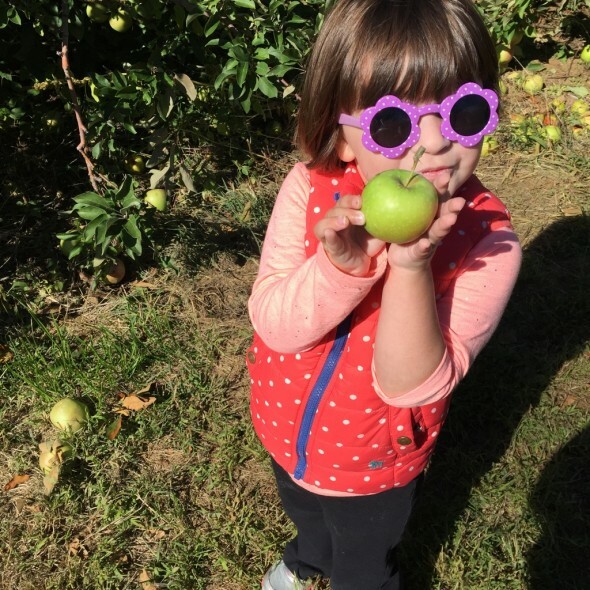 We picked Granny Smiths, Stayman Winesaps, Braeburns (one of my favorites), and Fuji. 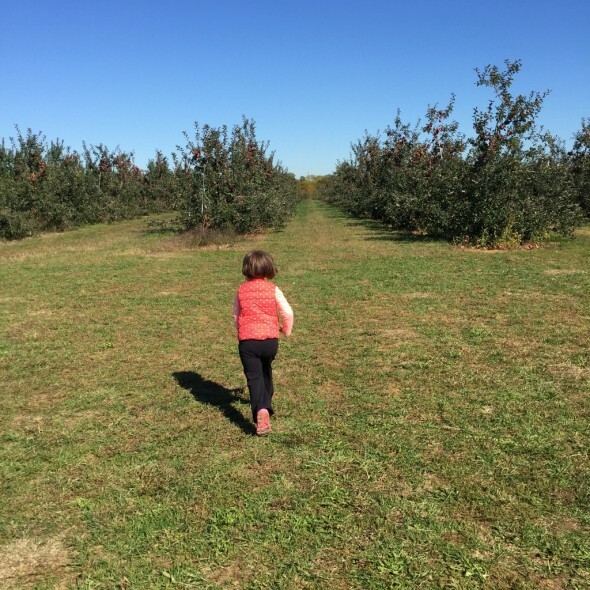 Now I have to figure out what to do with 20 pounds of apples. 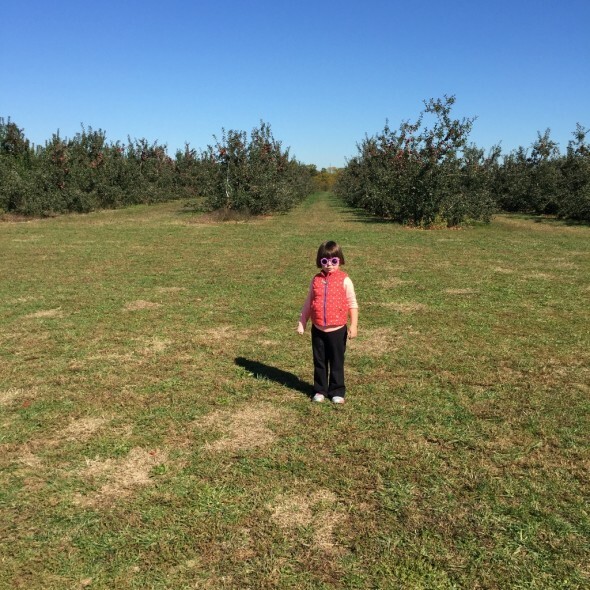 I had to load all the apples in my trunk and then go back because this one saw a pumpkin patch. 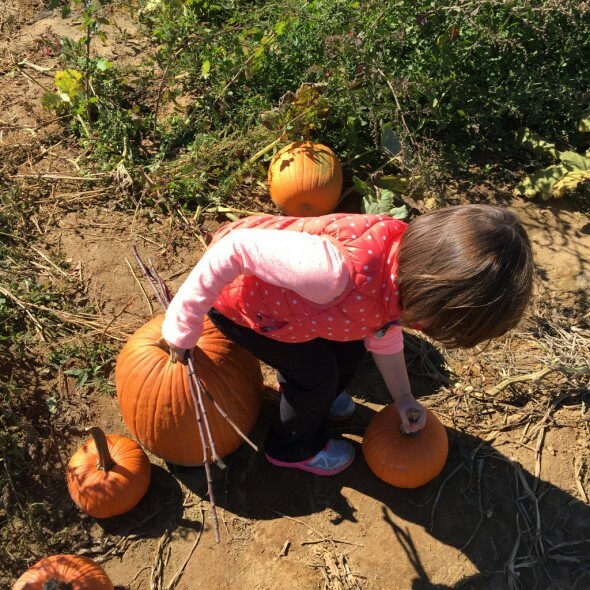 And we had to get a pumpkin. It would not be our only pumpkin of the weekend, but more on that later. It was an absolutely perfect fall day, I was in my glory. So much fun on this Friday field trip with our girl.